Taylor, Smith and Taylor is one of the most recognizable brands of collectible vintage dinnerware in America. Taylor, Smith and Taylor began producing fine dinnerware in 1899 in Chester, West Virginia. The company was founded and named for John Smith, Charles Taylor and William Taylor, along with Joseph Lee. Taylor, Smith and Taylor, or TST, was purchased by Anchor Hocking in 1971, who stopped producing the brand in 1981. TST china pieces are easily identified through markings that were put on the pieces during manufacturing, making it easier to find replacement pieces for sets. Look on the underside of the piece of china for a brand marking. Taylor, Smith and Taylor used marking that denoted the company name or abbreviation, so one of their pieces will have a mark that says either "Taylor, Smith and Taylor" or "TST" on the underside. Pictures of the brand markings Taylor, Smith and Taylor used can be found on websites devoted to antique china. Compare the decal pattern on the piece with photos of other pieces from Taylor, Smith and Taylor. Photos like this can be found on antique pottery and stoneware websites. Use a magnifying glass if necessary. Some brand marking and decal patterns are too worn to identify with the naked eye. If this is the case with your piece, use the magnifying glass to see the marks more clearly. If you are unable to identify the piece on your own, take it to an antiques vendor to see if he can identify the piece for you. Do not give up if you have trouble identifying your china's manufacturer. You may have a diamond in the rough, so keep trying until you identify who made the piece. 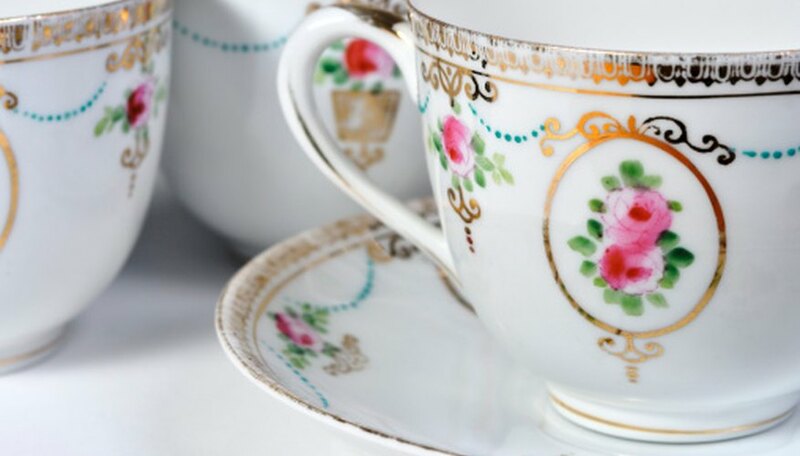 Do not be too rough when handling your china, as antique china is extremely fragile and will break easily.